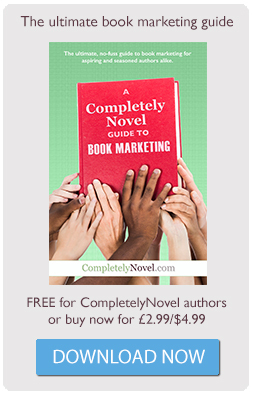 By self-publishing on CompletelyNovel.com you will have access to a range of distribution channels, including the CompletelyNovel community, our online, embeddable BookStreamer and retail channels such as Amazon. Self-publishing into the CompletelyNovel community means that your book will be available for people to buy immediately from the CompletelyNovel.com website. Potential customers can get a taste of your book online via our BookStreamer and then buy a paperback version of the book if they like what they see. The CompletelyNovel distribution channel means that when someone clicks to buy your book, we send a request directly to the print-on-demand printer. The printer will print exactly the number of copies requested and send the book straight to the customer. As well as the contacts that you already have, the whole of the CompletelyNovel community will also be able to see your book. On CompletelyNovel you can build up a network of reading and writing friends who can help you to make your book a success. In an online world where social networking is becoming increasingly important, it makes sense to publish directly into a social publishing community. Once they have read the book, your friends and other members of the community can write reviews and give you feedback. There is no cost to self-publish and sell a book on CompletelyNovel.com. It’s absolutely free and you will get 100% of the royalty from every sale of your book. You can sign up to our Publish Free Plan to try out our service. Sign up to one of our paid publishing plans on CompletelyNovel and your book will be for sale on Amazon and available for other retailers to order in and sell themselves. First of all, you will need an ISBN. You’ll get a certain number of ISBNs for free from CompletelyNovel when you sign up to one of our paid publishing plans. (The number depends on the plan you choose). We will then feed your book’s bibliographical data (the title, author, size, price etc) into our distribution database to allow retailers such as Amazon to update their records so that your book is listed. It will take less than two weeks for your book to feature on Amazon’s database, but you should be prepared to wait up to six weeks for all the accompanying information to be present, and the book to be available as part of Amazon’s ‘super-saver delivery’ etc. For online distribution, we bring you the CompletelyNovel BookStreamer. This is like a ‘YouTube’ for books. The BookStreamer lets you publish and distribute your book online, but without letting others download or copy the book. Anyone can embed the BookStreamer on their website, which means your book can be available for people to access on many other blogs and websites, so you can reach a much wider audience. There is a ‘buy’ button on the BookStreamer, so if people like what they see, they can purchase a copy from CompletelyNovel.com. We offer expert services for writers who would like some extra help and guidance. Whatever your question – our friendly team are here to help. Search our latest articles for more information and advice.